“A home is a house that is clean,” sings Rob Speer as super-dad turned psychopath Danny Tanner while wiping the blood of a slain drunk driver away from his knife. This is definitely not your typical episode of the cheesy ‘90s sitcom Full House. Instead, writers Chris Gorton, Tara Trudel and Katie Johnston-Smith take the Tanners to a place that we’ve never seen them before, shedding light on the dark side of TV’s most sickeningly lovable family. Speer brings a clear level of creepiness to his role as Danny Tanner, who enlists the help of his best friend Joey Gladstone (Chris Gorton) and brother-in-law Jesse Katsopolis (James Dolbeare) in raising his family after his wife was killed by a drunk driver. Rather than paying rent, all they have to do to stay under Danny’s roof is kill one drunk driver a year on the anniversary of her death. All of this is good and well until Danny realizes DJ’s boyfriend Steve (Tom Daily) drove her home drunk from a party she wasn’t even allowed to go to in the first place and completely loses his cool. Killing Steve to the horror of Stephanie (Meghan M. Hillmeyer) who walks in to find her dad cleaning up the mess, Danny becomes fixated with murder and goes into a downward spiral towards a crazed slaughter spree. In the show’s last performance of its extended season, the darkly comedic cast brings this morbid story to life (and takes a few in the process!) with their own twist on the character’s iconic quirks and phrases, invoking nostalgia for those who “pinky-promised” to regularly watch the show back in its heyday. Calling to the family dog, Comet, and holding their cardboard version of Mr. Bear, the girls almost appear to be the same sweet girls from the show until little Michelle (Ali Keirn) starts dropping F-bombs and DJ (Katie Johnston-Smith) sluts herself up for the forbidden party. As a whole, the choreography by Nikki Pierce was outstanding–theatrical and comical without bordering on corny. Paired with the perfectly on-point harmonies, live pianist and hysterical lyrics, the musical numbers made the show laugh-out-loud funny and wonderfully warped. While DJ wonders why Steve hasn’t called and Stephanie tries to keep her daddy’s little secret, Joey and Jesse plot to get Danny under control and we find all of the characters singing “It Ends Tonight” for very different meanings. 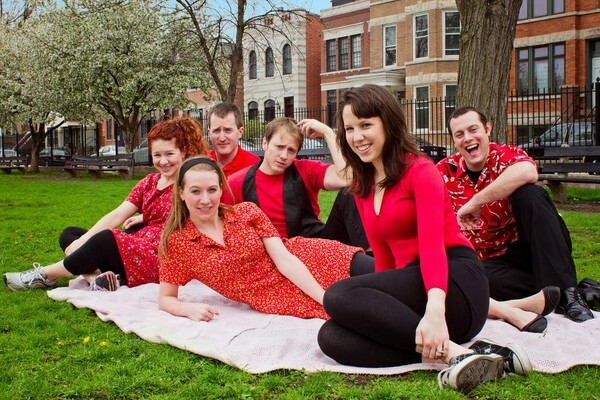 Started in May 2012, Attend the Tale of Danny Tanner: A Full House Musical sold out the Gorilla Tango Theatre throughout the summer and specially extended its run into August and September due to its popularity. While Sept. 24 marked the last performance, I can only hope for another extension or a comeback for those who didn’t get the chance to catch this incredible comedy.